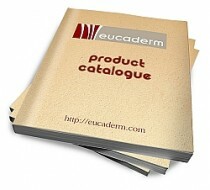 Would you like to join the Eucaderm Hair and Scalp Treatment Distributors? 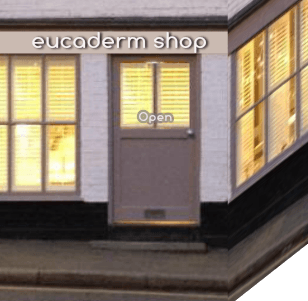 Eucaderm: the research and development company behind the David Satchell Hair and Scalp Product range, is a World leader in the field of innovative hair and scalp care. After 40 years Eucaderm can, with it’s current range of products, solve more hair and scalp problems then any other product on the market. How do we solve these problems? Because we treat the problems by looking at the cause rather than just suppressing the symptoms. This innovative approach led to us being nominated for a Queen’s Award, and to us receiving an award from the Department of Trade and Industry (DTI). Eucaderm’s concept really does work. After 40 years of research we feel the time is right to fully launch globally. 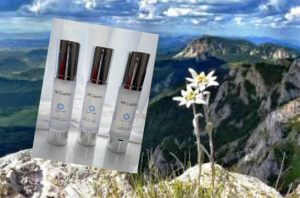 This will at last give millions of people access to a Eucaderm Treatment which is totally unique, fresh, and that gives results! If you wish to have the ‘first move advantage’ in your country then contact us immediately. 1. Distributing David Satchell Treatments / Products through Salons, Hair Clinics, Health Spas, etc. 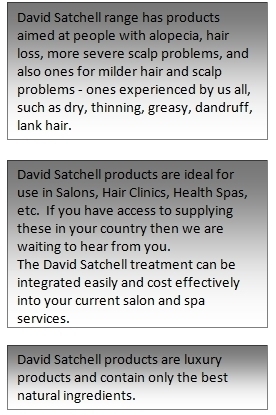 David Satchell products are ideal for use in Salons, Hair Clinics, Health Spas, etc. 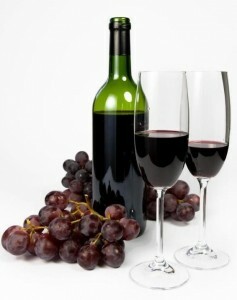 If you have access to supplying these in your country then we are waiting to hear from you. The David Satchell Treatment can be integrated easily and cost effectively into your current salon and spa services. 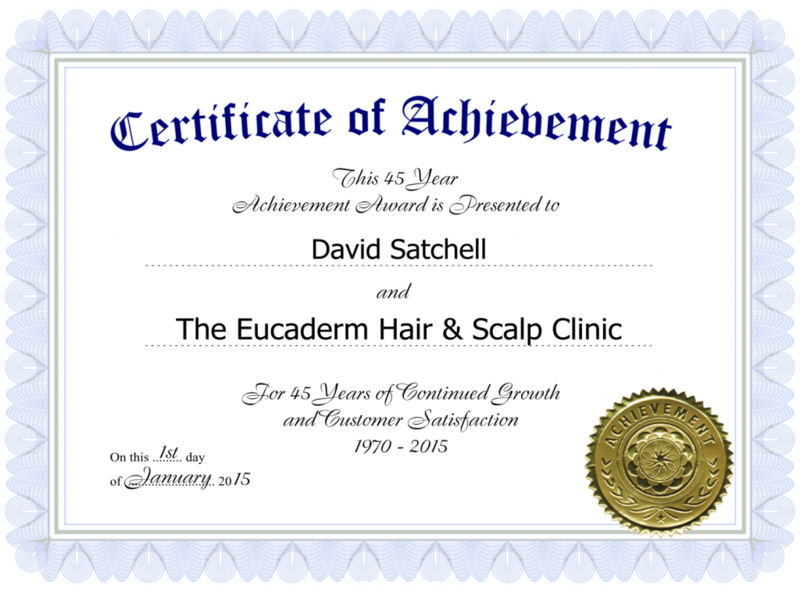 The David Satchell Eucaderm Treatment involves a full salon and hair scalp treatment which leaves the customer feeling invigorated as well as leaving their hair and scalp feeling absolutely amazing. 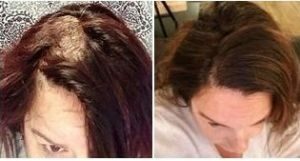 With repeat treatment and use of David Satchell products from home we believe the customer will experience increased scalp health and hair growth – with stunning results. The customer would then buy David Satchell products for use at home to continue the treatment until their next visit. 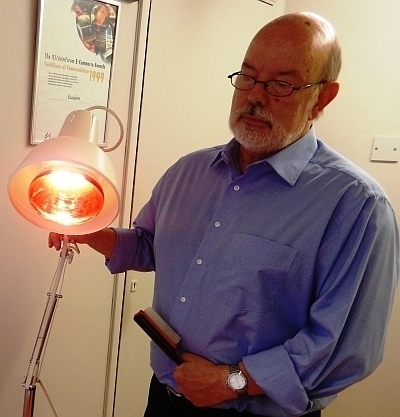 You will receive a visit from one of our lead consultants, possibly David Satchell himself, to train you fully on the David Satchell concepts and treatments. Eucaderm Ltd charges a nominal fee to cover the cost of this training. (You are expected to cover the costs of any marketing and advertising you wish to use). This will then allow you to promote the David Satchell Treatments through your own salons and spas, and also if required, to train others to include the David Satchell Treatment into their spa/salon/clinic services. Positioning yourself as the ‘lead importer/distributor’ of David Satchell will place you in a very strong position to distribute through your country very quickly. David Satchell products can also simply be sold through shops without the hands on treatments. 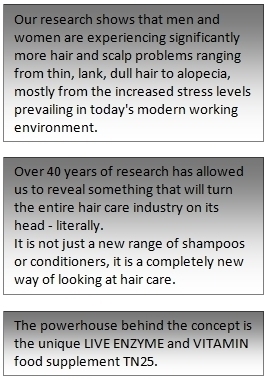 David Satchell range has hair and scalp treatment products aimed at people with alopecia, hair loss, more severe scalp problems, and also ones for milder hair and scalp problems – ones experienced by us all, such as dry, thinning, greasy, dandruff, lank hair. NOTE: If you have a well established brand in your country then the David Satchell treatments can be promoted under your own brand name to increase the confidence of your customers. Any questions? Please contact us davidsatchell.eucaderm@gmail.com Thank you.